EUR has been under the influence of Eurozone Trade Balance which decreased in October. 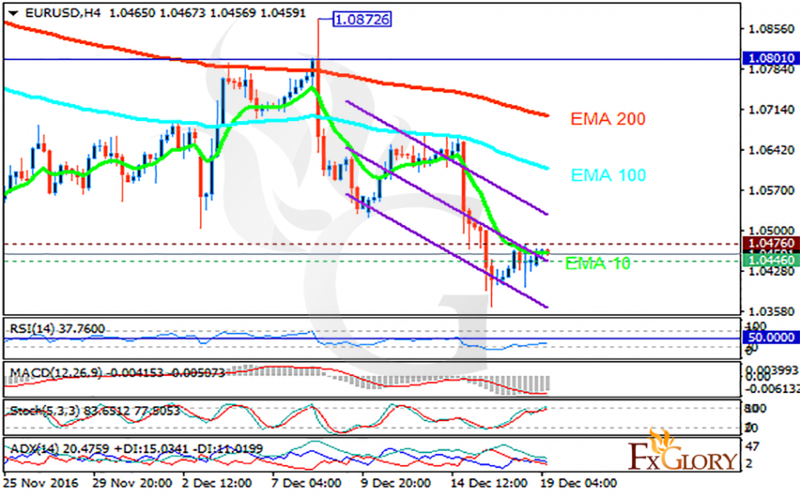 The support rests at 1.04460 with resistance at 1.04760 which both lines are below the monthly pivot point at 1.08010. The EMA of 10 is moving with bearish bias and it is below the EMA of 100 and 200. The RSI is moving below the 50 level, the Stochastic is moving in high ranges while showing upward momentum and the MACD indicator is in negative territory. The ADX is showing buy signal. The chart seems bearish therefore 1.0400 will be sellers’ next target.